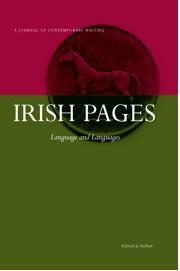 Also known as Duillí Éireann, Irish Pages is a bilingual, biannual journal edited in Belfast. The journal was started in 2002 with the mission of publishing “in equal measure, writing from Ireland and overseas.” Each issue is themed and "The Sea" is filled with a blend of literary journalism, nature-writing, memoir, short fiction, poetry, and other features like photography and notes from the publishing world. The journal succeeds at printing work that touches on both local (Ulster) and global issues, nourishing ecological awareness, and giving voice to both avante garde and traditional Irish ideas. Although the website suggests that other issues have included more political or cultural writing than "The Sea," I noted slight nods to a feminist cause in the narratives and poetry chosen, and in the inclusion of one of the three featured essays by Croatian/Serbian writers. According to her byline, Slavenka Drakulic, a woman born in Croatia in 1949, has received threats for her feminist writing in the past. Her essay is about the changes in her ethnic and writing identities, and her concern for how a good portion of her work exists in a “vacuum” because the country she was born in has ceased to exist. Although Irish poetry is sometimes discussed in reference to Yeats, Heaney, and Muldoon (and Irish Pages has published Paul Muldoon), I liked the balance of contemporary, archival, and Irish language poetry in this issue. Most of the poems were relatively short and beautifully resonant. My favorites included three Irish and English translated poems by Cathal Ó Searcaigh. “Morning Song” reads like an exquisite prayer, and the mist, furze, and quietness in “Mountain Trek” is wonderful. Some writers received more space than others, but I approved of the inclusion of Aidan Carl Mathews’ essay and six poems. I especially liked the naked honesty and lush, strong words in his poem “Kyrie for a Counsellor.” Also, the poem “Doing Time” is an interesting look at the progression of time while Nelson Mandela was in prison. "The Sea" gave a lot of attention to the island environment and a chapter from the last volume of a trilogy about Connemara, a peninsula off the western coast of Ireland, featured a lovely mix of memoir, folklore, and science. Alongside the Celtic mythology in “The Kingdom of Manannan,” there was plenty of Irish Catholic imagery in the collection. Priests, altar boys, rosaries, and Mass books appear in several essays, poems, and stories, such as the short story “The Mourners” by Francis Harvey. It is a compelling read, as are the two sweetly honest poems by Leontia Flynn about her father and his passing. The variety of the selections—from the introduction of a novel called The Truth Commissioner and the remarks delivered at the launch of “A History of the Town of Belfast,” to the eulogy of a man who did watercolors of Ireland’s thirty wild orchid species—shows a great deal of local pride, artistry, and care on behalf of the editors. Also, the inclusion of a selection of stunning Marine Micrograph photography made this review a very pleasant experience. Particularly wonderful were the living Radiolarians, which are beautifully symmetric skeletal elements found in marine plankton, magnified and photographed in Golm, Germany. I also really enjoyed the magnified images of candy-bead-like Diatoms photographed in Mayaguez, Puerto Rico. Based on my reading of this issue, I would highly recommend Irish Pages. With past issue themes like "The Media," "Empire," "The Earth Issue," and "The Home Place," I assume they are worthwhile reading for non-Irish readers. According to the website, the most recent issue is "The Irish Issue," and it includes more about Connemara by Tim Robinson, a few poem translations, and the rest is contemporary Irish writing, which might be worth learning a little Irish for.